Costs – Need some tree or stump work performed in Fayetteville, North Carolina? We have the average costs for such services so you know what to pay the professionals. FAQs – Trees in Fayetteville come from a wide variety of species and thrive for different reasons in the sprawling state of North Carolina. Find out what you need to know to help yours thrive throughout the seasons. Services – We have the list of professionals in the area who can help you preserve your trees through the harsh summers and frigid winters. Give one a call today. How Much Do Tree Services Cost in Fayetteville? Trees provide many useful functions as well as aesthetic appeal for Fayetteville, North Carolina homeowners. Many people enjoy watching birds, squirrels and other animals that make their homes in the trees. They provide shade from the hot summer sunshine and can boost the energy efficiency of a home by blocking the sun’s rays from heating up the house. Trees also provide oxygen and reduce air pollution. However, trees do come with some associated costs in order to ensure their health and safe growth. The average cost to remove a tree in Fayetteville, NC is $456. The cost for removing a tree will vary based upon how large the tree is, how many limbs it has, and whether or not there are complicating factors like proximity to power lines or a bee’s nest. Removal of a dead or diseased tree may cost less than dealing with the repercussions of having the tree fall onto a house, car or other property as falling trees can cause thousands of dollars in damage. When a tree is cut down, the stump left behind can be unsightly. As the stump rots away, it can attract pests like termites and carpenter ants. Removal of a tree stump costs an average of $300. The exact cost of stump removal will depend on the diameter of the tree stump. Large stumps will cost more to remove than small ones. Digging out any associated tree roots will add to the project cost. Tree branches may grow in the way of a home, power lines or other structures on the property. For the health of the tree and the safety of homeowners and their guests, trees may need to be trimmed, pruned or have branches cut back. The average cost of this type of tree maintenance is $484 although the final cost will depend on the size of the tree and the amount of pruning or trimming that needs to be done. The City of Fayetteville, North Carolina has enacted regulations regarding the removal and maintenance of trees in the city. These guidelines are to ensure the health of trees as well as the protection of homeowners and city residents. It’s part of the city’s desire to protect trees in the city and maintain and environmental care while increasing the urban landscape for new residents. When a home is built, a tree survey must be conducted by the property developer. At least 10 percent of the property must remain tree-covered so long as the property already had 10-percent tree coverage, at a rate of 36 trees per acre. All native trees need to be saved whenever possible as well as trees with at least two-inch caliper size. This is considered a tree-save area. Those that are a safety hazard or are in the way of the public right-of-way, such as a sidewalk, may need to be removed. The City of Fayetteville requires that licensed tree removal contractors apply for a city permit to remove a tree. For safety reasons, the Fayetteville utility company, PWC, will remove or prune trees away from power lines every three to five years. Trees must be at least six feet away from power lines. This includes trees on private and public property. Within 20 feet of power lines, trees cannot be more than 25 feet tall. Within 30 feet of power lines, trees cannot be more than 35 feet tall. The best time to remove a tree in Fayetteville is in the winter for the sake of convenience as the tree will not have leaves and will not be producing as much sap. December through February are ideal months. If the tree is a danger, the best time to remove it is as soon as a professional can get the job done. Some of the shortest native or naturalized trees grown in Fayetteville include the Prunus mume (flowerng apricot), which grows 10 to 20 feet in height; Lagerstroemia indica (Crepe myrtle), which grows 8 to 30 feet tall; and Prunus persica (peach tree), which grows about 10 to 20 feet tall and produces colorful flowers and plentiful fruits. 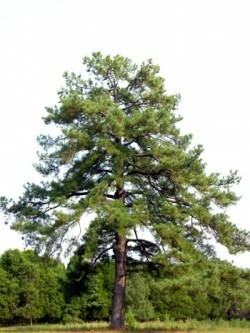 Some of the tallest North Carolina trees include the Pinus strobus (white pine), which can grow more than 180 feet tall; Liriodendron tulipifera (tulip tree), which can grow to 170 feet or taller; and Tsuga canadensis (eastern hemlock), which can reach 160 feet or higher. Plum, pear and apricot trees will grow well in the city. 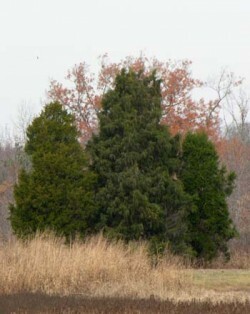 Pine trees in Fayetteville, NC may be affected by needle and blister rust. Oak wilt, shoestring root rot, leaf blister, and canker affect deciduous trees in Fayetteville. Some of the most difficult trees to maintain are birch trees. In Fayetteville, native birch species include Betula alleghaniensis (yellow birch), Betula cordifolia (mountain paper birch), Betula lenta (sweet birch, black birch and cherry birch), and Betula nigra (river birch). Without proper maintenance, birch trees often die prematurely and experience other problems like premature decay of branches and bark.